A service was held in St Giles’ Cathedral at noon on October 4th to mark the anniversary of the Brigade’s founding. Nearly 100 people attended the service, including 20 BB leaders and young people, which was led by Brigade Scotland Chaplain, Rev Derek Hughes. 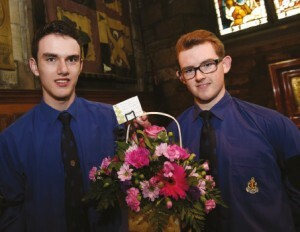 Two Seniors, Barry Williams and Matthew Turnbull, from 2nd/4th Motherwell Company, laid flowers at the Founder’s plaque inside the cathedral.